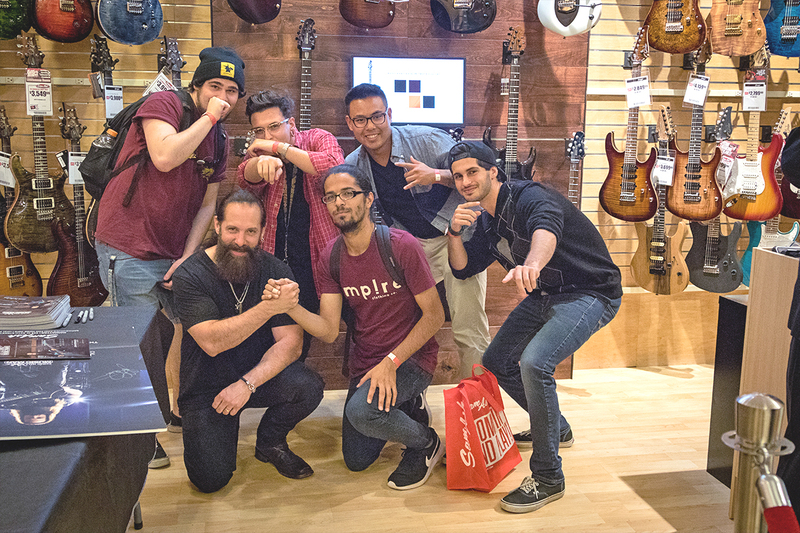 Our longtime partners at Sam Ash recently revealed brand-new in-store showcases for John Petrucci’s line of signature Ernie Ball Music Man guitars. 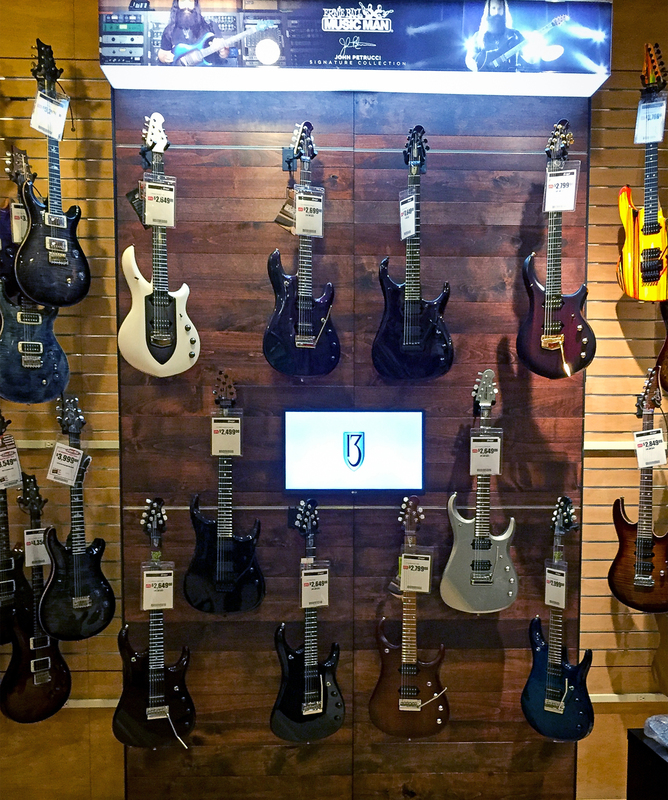 The “JP Signature Collection” displays are featured in Sam Ash’s Hollywood and Manhattan stores. Watch Sam Ash’s Facebook Live stream introduction. 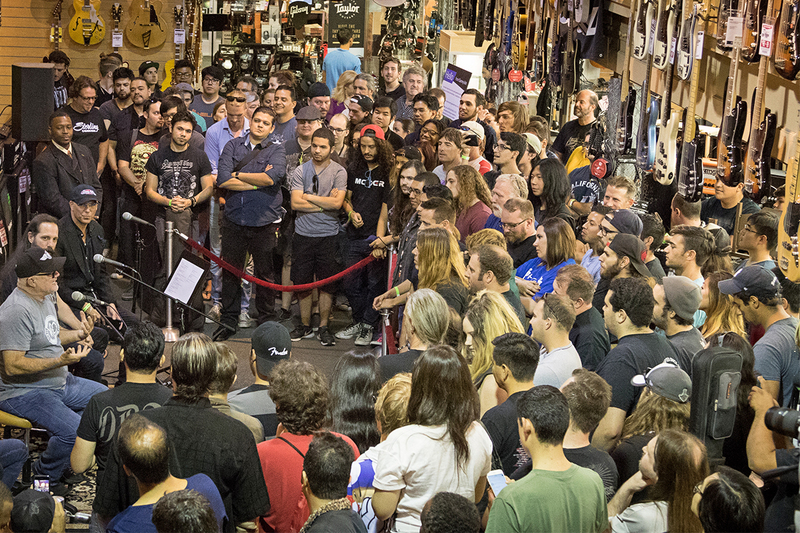 At both sold-out events, John did a presentation walking the audience through each signature model, and then did meet-and-greet/autograph sessions. 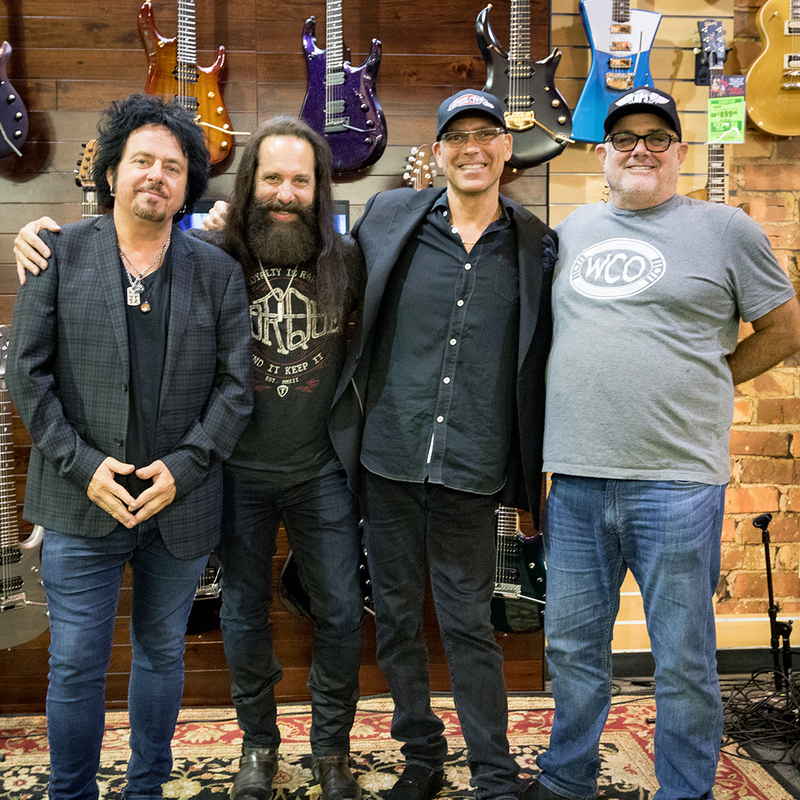 Sammy Ash, Steve Lukather and Sterling Ball also came to Manhattan to attend the grand opening. If you’re in Hollywood or Manhattan, be sure to stop by and see the new displays! 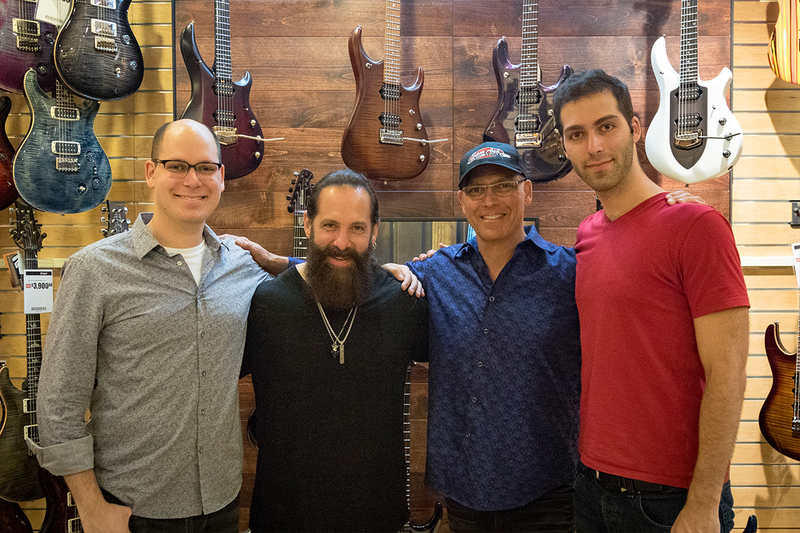 Try out a John Petrucci signature guitar, including the all-new JP16. 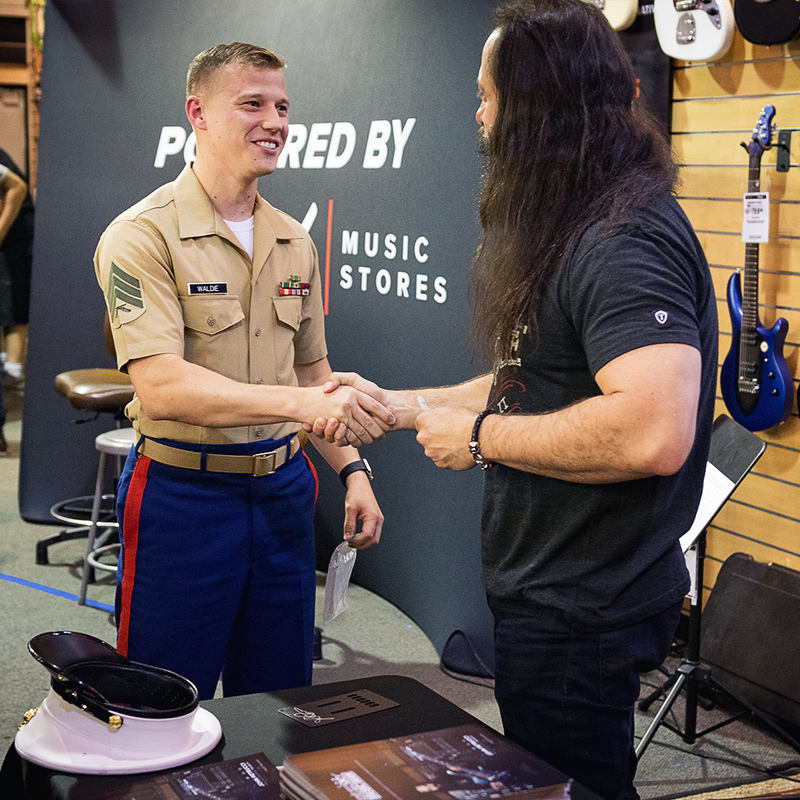 Great event at Sam Ash in LA, awesome to see/hear John Petrucci, Sterling Ball was extremely entertaining. thanks to all involved!